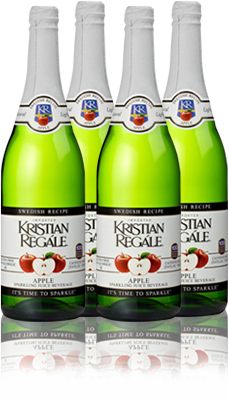 Kristian Regále Apple Sparkler is our original flavor and still among our most popular. Apples picked at the peak of freshness are carefully blended with the finest ingredients to create an apple sparkler that’s especially light, crisp and refreshing. Purified sparkling water, apple concentrate, beet sugar, natural flavors, citric acid.